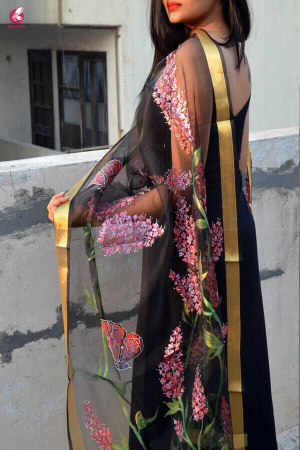 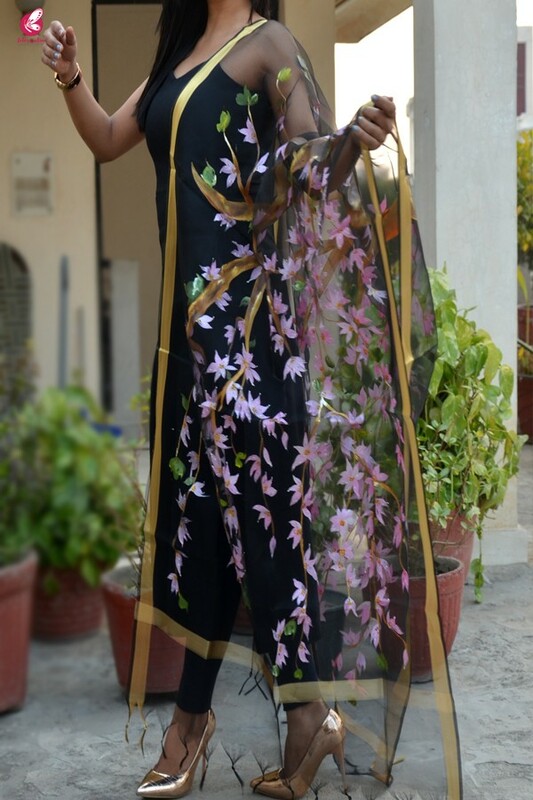 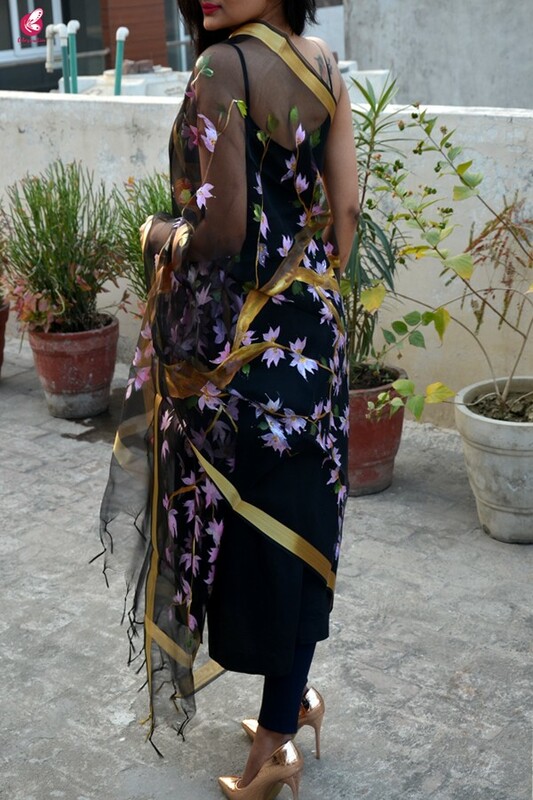 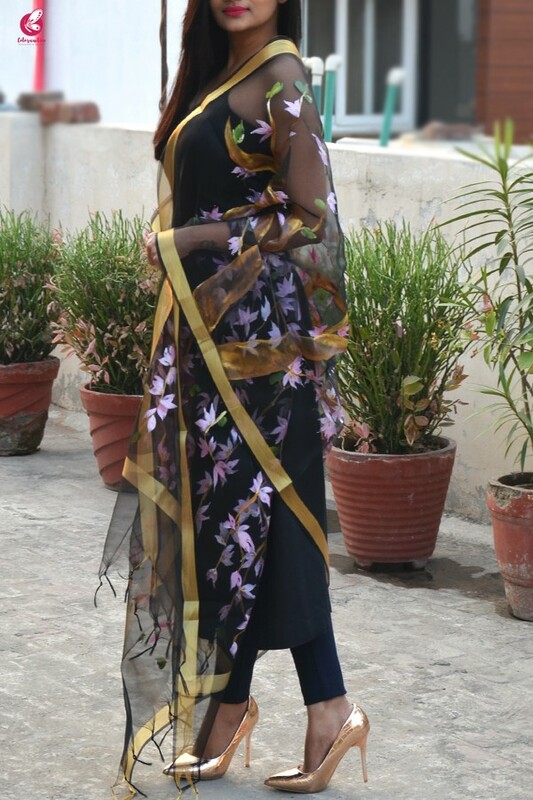 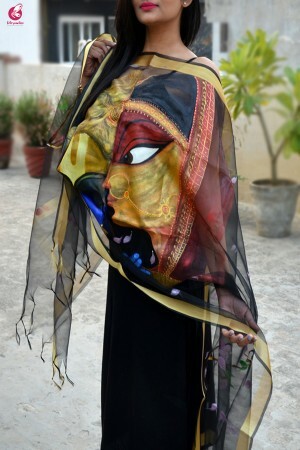 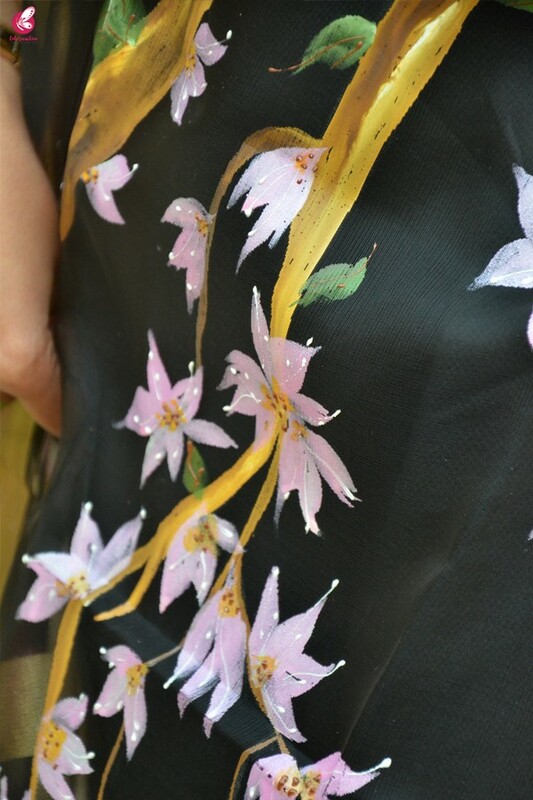 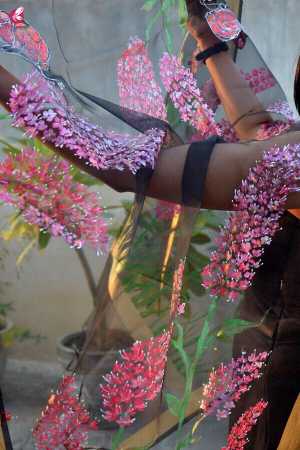 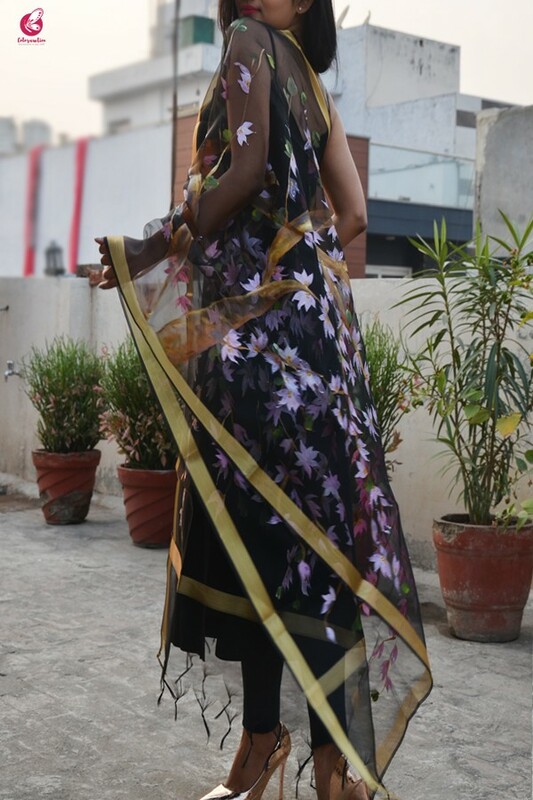 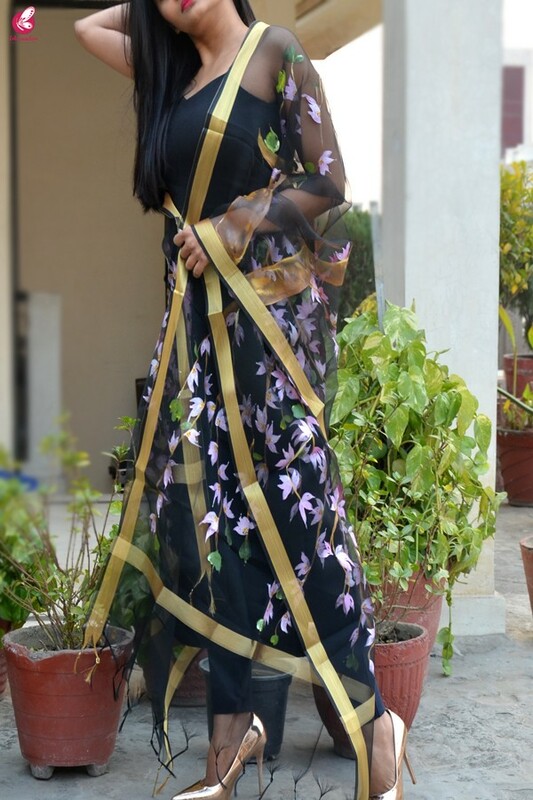 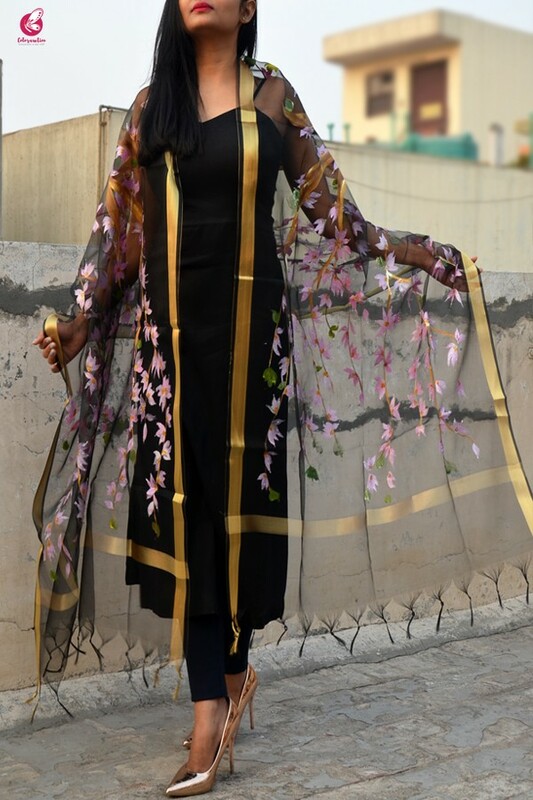 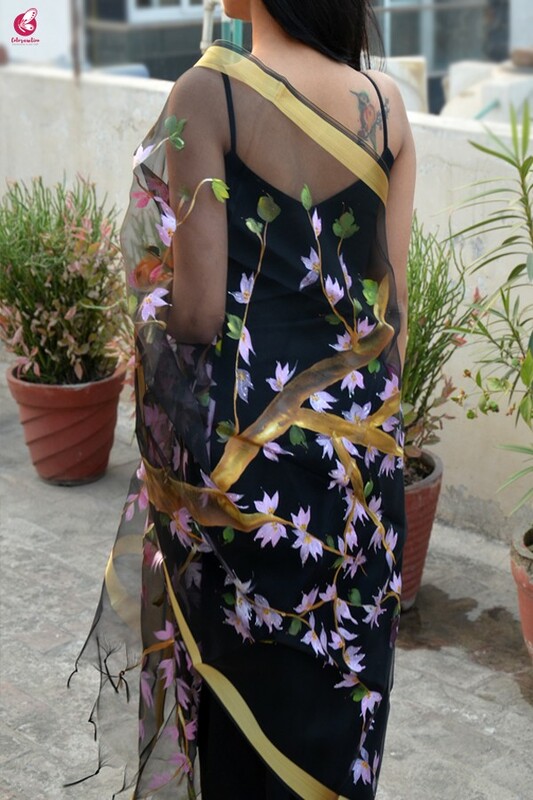 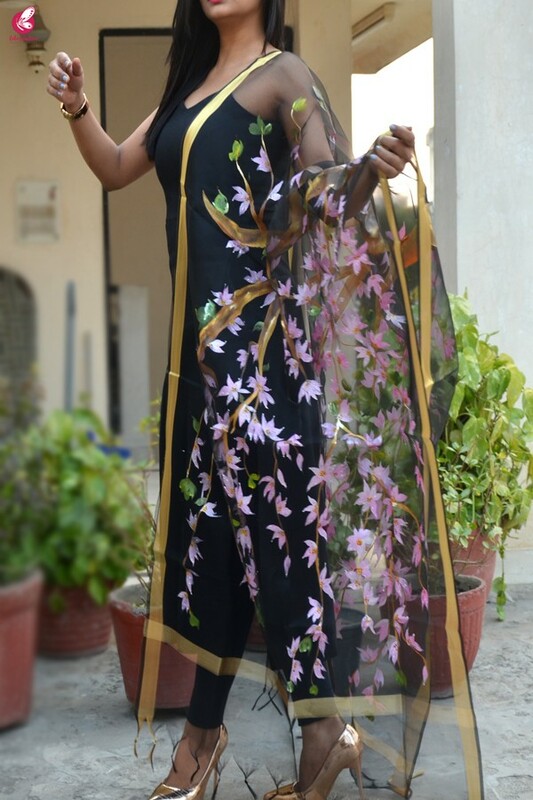 Stand out from the crowd wearing this beautiful black hand painted organza floral stole from Colorauction. 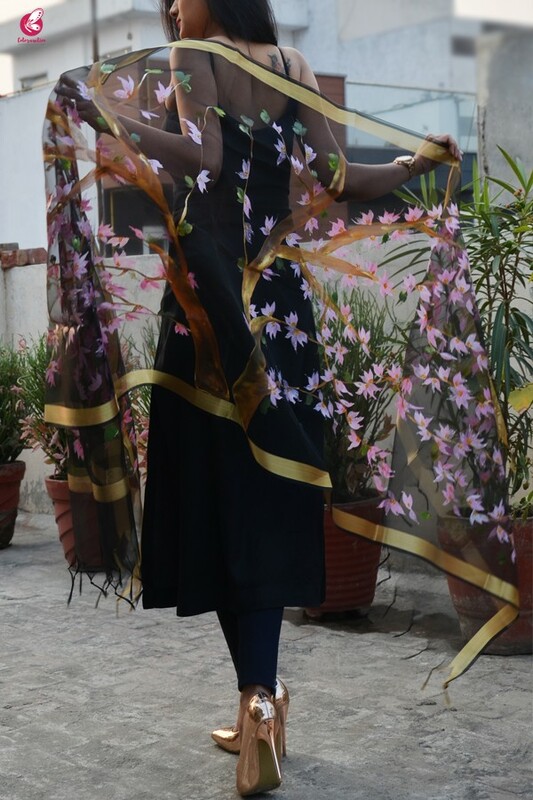 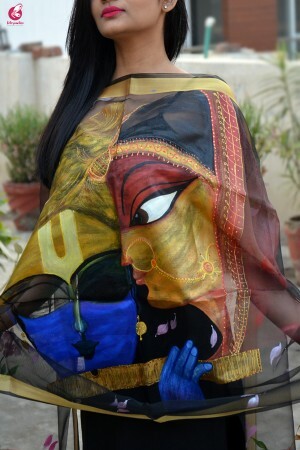 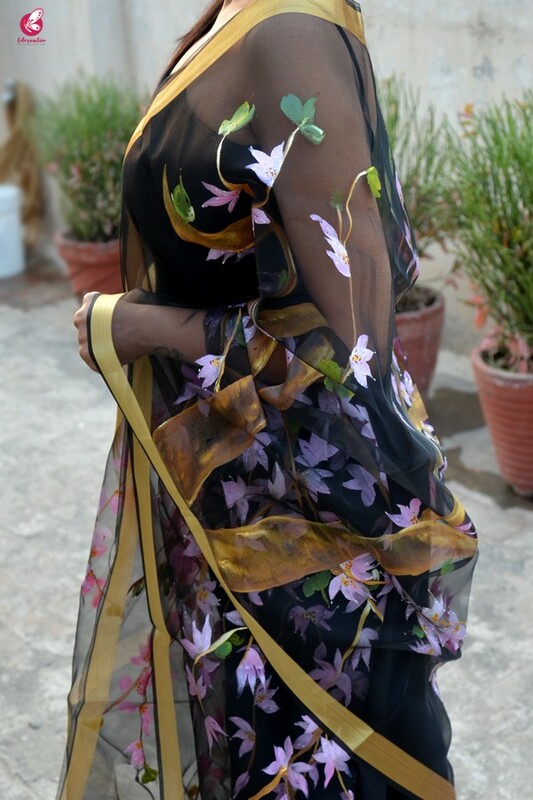 Made from premium quality organza this stole has beautiful hand painted floral motifs all over. 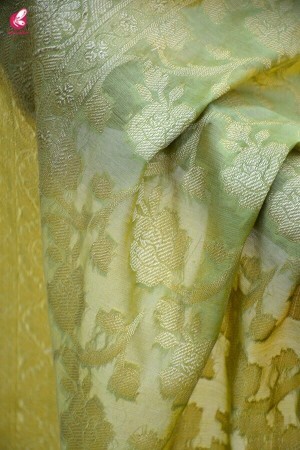 This stole can be worn with a variety of dresses and can be styled in a number of ways.